The dedication of a new home for the American Philatelic Research Library is commemorated with this Oct. 29 postmark from Bellefonte, Pa. The postmark pictures the library’s logo. After working out of temporary quarters for several years, the American Philatelic Research Library in Bellefonte, Pa., has finally moved into its new home at the American Philatelic Center. The headquarters of the library and the American Philatelic Society are situated in a property that was once a large 19th-century match factory. The structures on the campus have been beautifully renovated over the past few years, and the dedication of the library in October serves as the latest milestone before the transformation is complete. As Linn’s reported on Oct. 13, the library move is being celebrated with a dinner and ribbon-cutting ceremony. 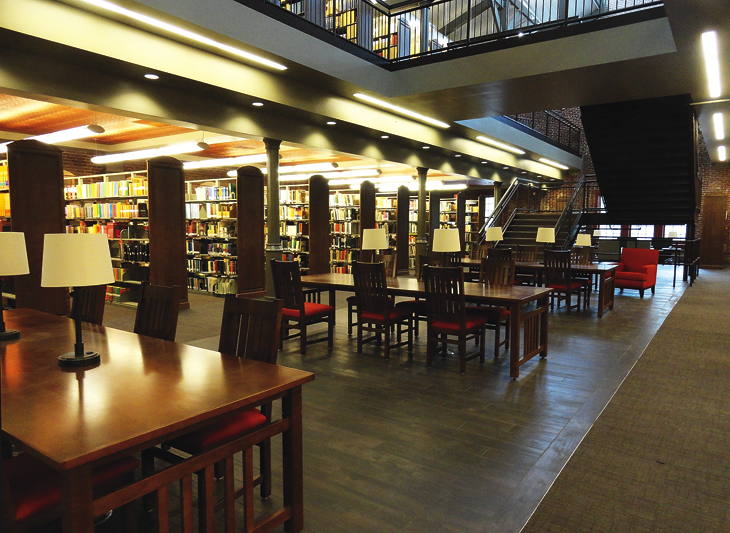 APRL celebrates opening of new library: After years of planning and preparation, and a full year of construction, the American Philatelic Research Library will finally hold its grand opening event in October. It’s fitting that the event is also commemorated with a pictorial postmark dated Oct. 29, the day of the ribbon cutting and formal grand opening. The postmark shows the open book with perforated pages that serves as the library’s logo. GRAND OPENING Station, Postmaster, Box 9998, Bellefonte, PA 16823-9998, Oct. 29. NASCAR DAY Station, Postmaster, 611 W. Academy St., Randleman, NC 27317-9998, Oct. 22. (Stock car blending with checkered flag, speedometer, “29th Annual,” “Pedal to the Metal.”).